Family and food are central to my Christmas celebration. It seems to begin in earnest with Thanksgiving, and there’s no let up until the New Year. You would think that “eat, drink and be merry” (Ecclesiastes 8:15) is the only Bible verse I have committed to memory…and unwavering practice! Generous Lord, that prayer has been amply answered during the holidays, and the bathroom scales concur. Those who prepare our family feasts remind me of your care and attention to detail. I appreciate their gift of hospitality, and I am grateful for your faithful provision. I consume far more food and drink than a body requires. Moderation and restraint are elusive. Self-discipline is a myth! Holy Spirit, govern my choices in the pantry and at the table. Make me mindful of my choices for service and giving to organizations fighting hunger. Amen. My blog posts about Durham Meals on Wheels, a favorite non-profit! We weep, we ache over the Newtown school massacre in Connecticut. The veneer of sentimentality has been painfully stripped from Christmas...by semi-automatic pistols and mental illness. I will confess to blocking out the news of war, violent crime and traffic fatalities during Christmas, but this story has our hearts in a vise. It commands our full attention. How clearly, how starkly we see this broken world as we grieve for the murdered first graders and their heroic faculty. Oh yes, we need a Savior. Oh yes, we long for a new creation. It's impossible to elude those Advent themes this year. 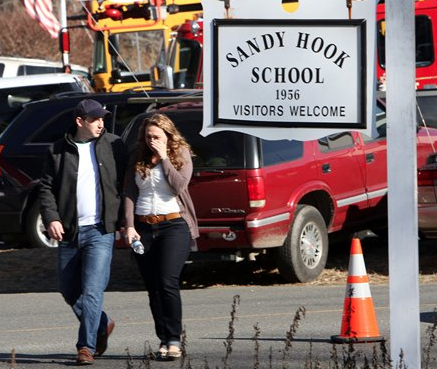 Lord Christ, the slain children and teachers know your embrace, but please, dispatch your Spirit to their parents and families, to share and lift their heavy, heavy burden. Amen. I anxiously await the grandeur and spectacle of Christmas: Handel and Bach, poinsettias and processions, candles and carols. Worthy is the lamb! There’s Zechariah and Elizabeth, John the Baptist, Joseph and Mary. An aging couple, their eccentric son, the peasant carpenter and his teen bride. For most of her life, Elizabeth had borne the shame and disappointment of infertility. 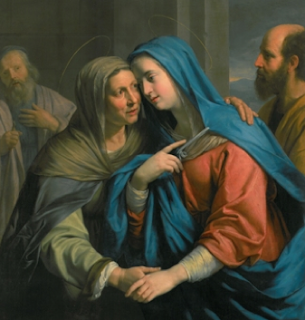 Putting it politely, Mary was faced with an unexpected pregnancy. The real Christmas story is about unpretentious people…under duress…straining to comprehend God's plan…attempting to obey. In this age of self and celebrity, Holy Spirit, prepare my heart with their witness of humility. Amen. It seems to me that the Christmas season began even earlier this year - around Halloween! We like to blame greedy retailers and the modern day plague of consumerism. I’m not so sure about that. Maybe we welcome the distraction from a true Advent. The ancient prophets consistently called across the generations for repentance, justice and righteousness as they proclaimed the Messiah. 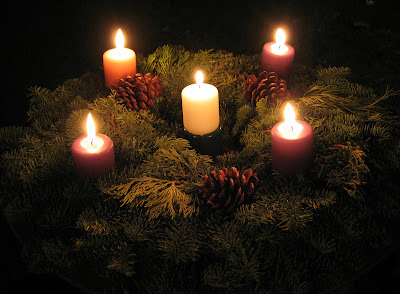 We are called during Advent to prepare our hearts for the coming of Jesus, to make straight our path. Am I willing to catalog my regrettable thoughts and actions, or lack of action for the cause of Christ? What about justice? Where our society, government and business miss the mark, will I do anything about it? Will I make time to consider what it means to live righteously, to model Kingdom values, to trust the Lord in all things, in the coming year? …or will I charge off to the mall or another Holiday party. Will I confine my preparation to mixing drinks and wrapping gifts? Holy Spirit, prepare my heart during advent for the coming of Christ, my savior, my Messiah. Amen.